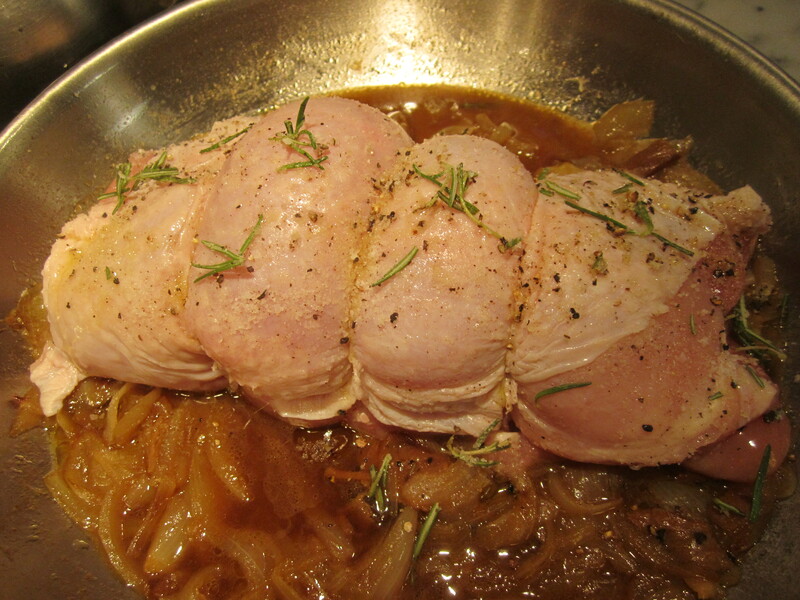 My butcher often has free-range, organic turkey breasts, rolled and tied into compact little roasts. 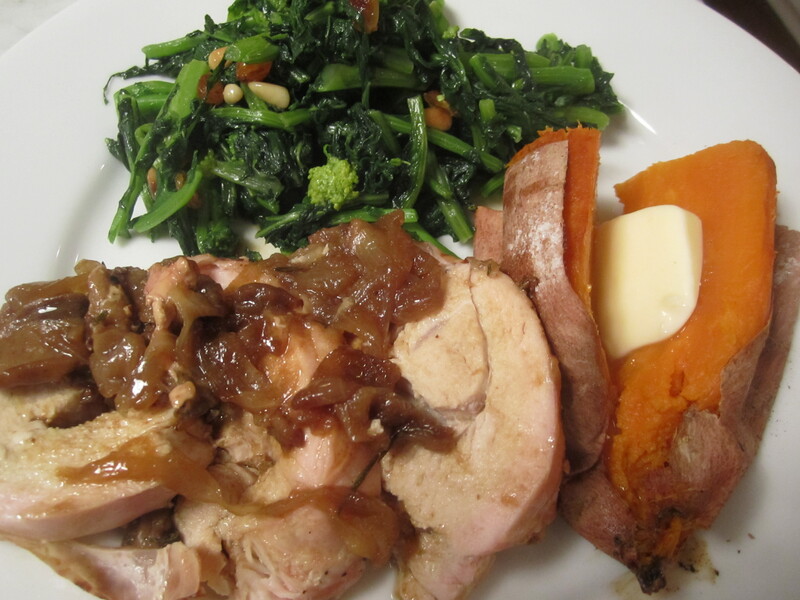 This is a great weeknight meal which can be ready in an hour, and makes great leftovers for lunch (for several days). Although I’ve posted variations on this roast in the past, tonight, I’ve decided to re-hydrate some dried porcini that my mother brought back from Italy last fall. 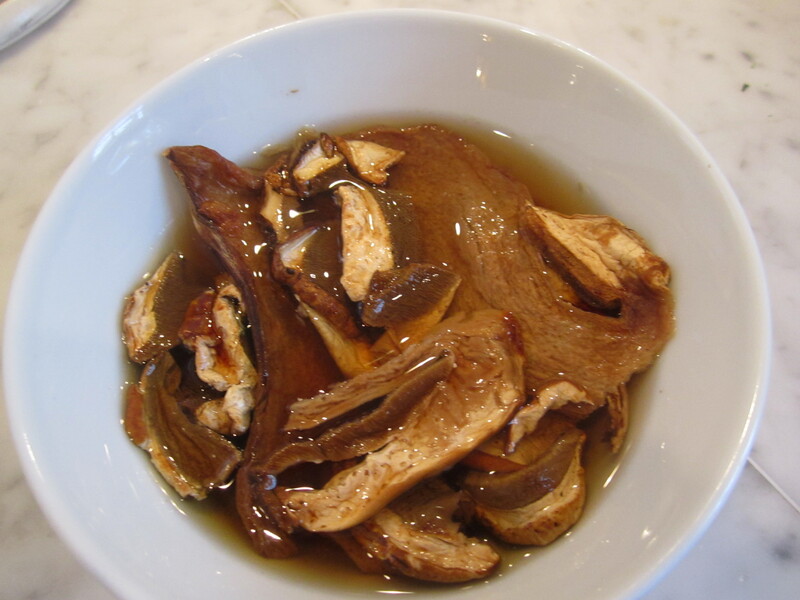 In addition, dry sherry makes a nice addition to any dish made with mushrooms. Because this is a weeknight meal, I’ve kept the side dishes simple–some broccoli di rapa, blanched then sauteed with pine nuts and raisins, along with simple baked orange-fleshed sweet potatoes. 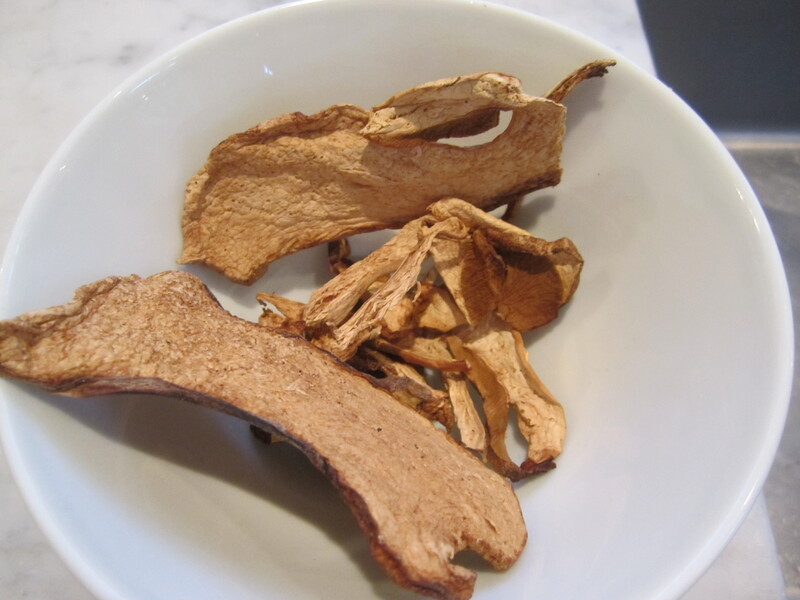 In a bowl of hot water, soak porcini for about 20 minutes. 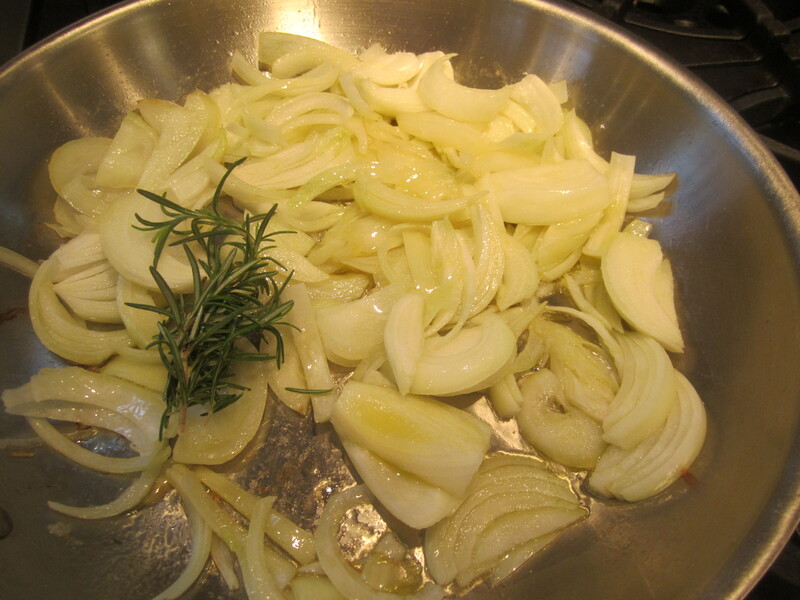 In an ovenproof skillet on low heat, begin sauteing onions with 2 tablespoons of oil and rosemary sprig. Sprinkle lightly with salt and pepper and cover, stirring often, for about 10 – 15 minutes, until lightly caramelized. Remove porcini from water and roughly chop. 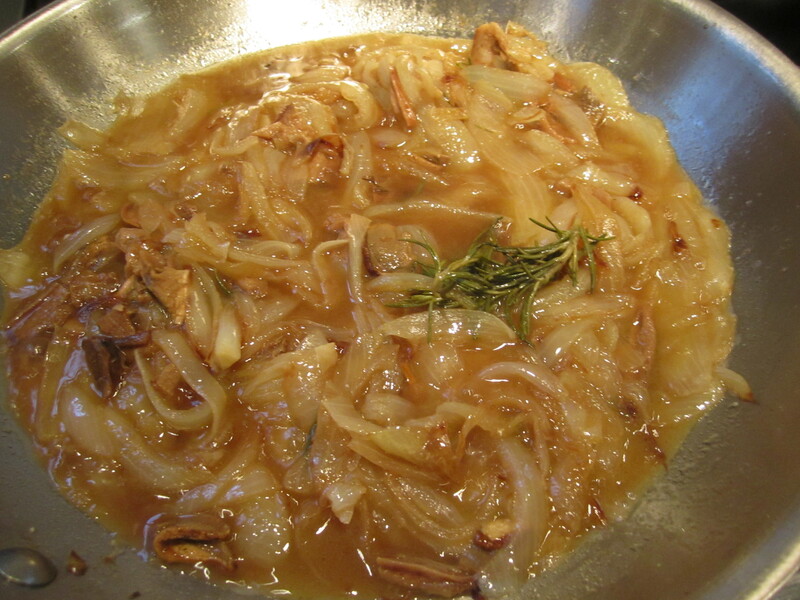 Add to onion mixture and saute for another 3 – 5 minutes. Pour in sherry and reduce for a minute. Add broth and continue reducing for another 2 minutes. Set aside and let cool. 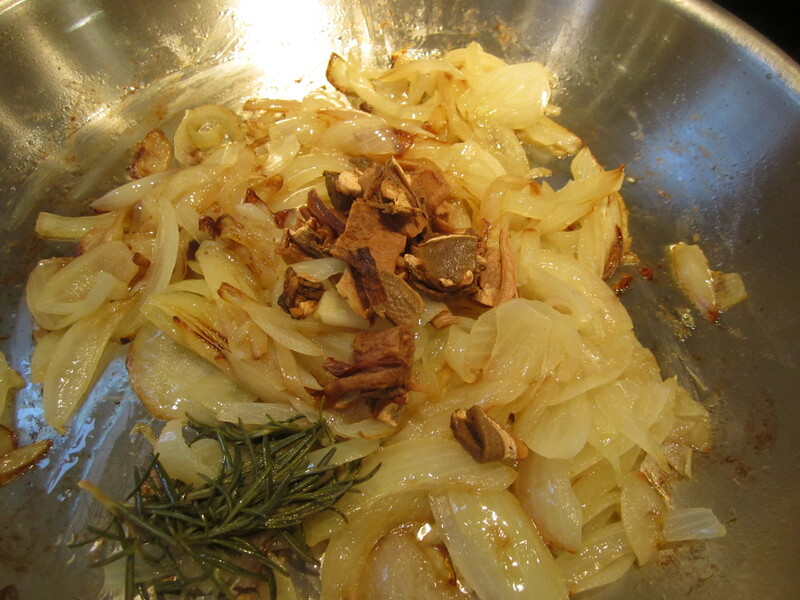 Place turkey on top of onion mixture and rub with salt, pepper, and the remaining sprig of rosemary, roughly chopped. Drizzle with remaining olive oil. Place in oven, uncovered, basting with pan juices and adding a tablespoon or two of water every 15 minutes as the juices evaporate. 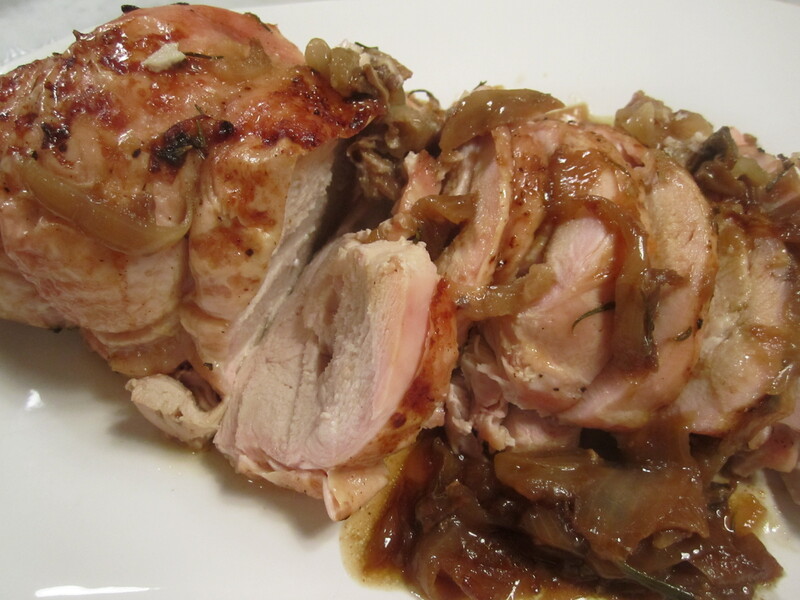 Roast for approximately 1 hour and 10 minutes, or until the internal temperature registers about 165 degrees. Allow to rest for at least 10 minutes. Remove string and carve. 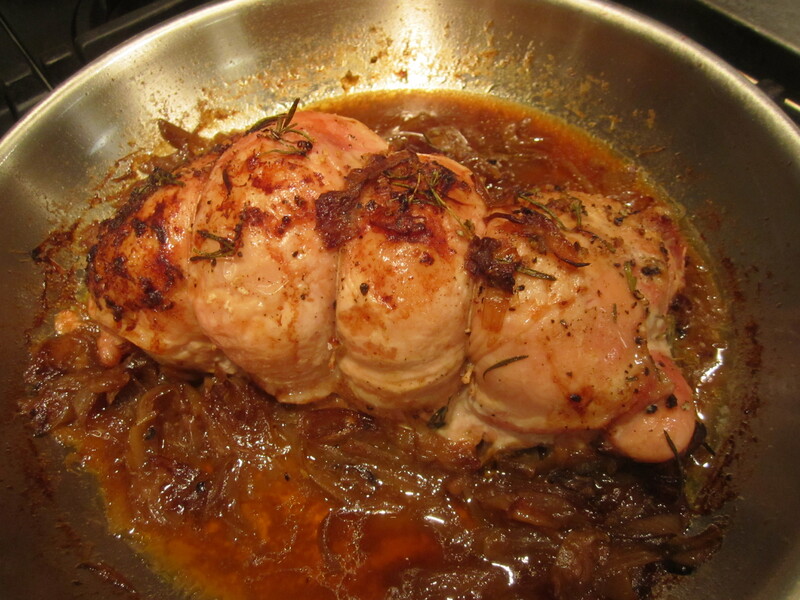 Keep sauce hot and spoon over meat right before serving.